What Is the Average Size of an Email Message? Determining the average size of an email message is difficult because of all the factors that come into play. However, in general, an average email is about 75KB in size. Because 75KB is around 7,000 words in plain text or about 37.5 pages of typewriting, it stands to reason that other factors contribute to the size of an average email. The text of your message is just the tip of the email iceberg. Plenty of other factors contribute to the size of an email. Messages contain formatting information in addition to mere text. Rich text emails are often accompanied by a duplicate plain text version of the same message. Newsletters and marketing emails are often longer, bigger emails and make up a large proportion of incoming mail. Attachments heavily skew the average. Although some attachments are small, some may be 10MB or larger. Header information that describes the email's route isn't visible, but it counts in the size. Photos, animations, audio clips, and other attachments all add to the size. Animated GIFs are particularly size-hungry because every frame is essentially an image. The more frames the GIF has, the larger it is. In an email thread that goes back and forth, quoted material may appear several times. 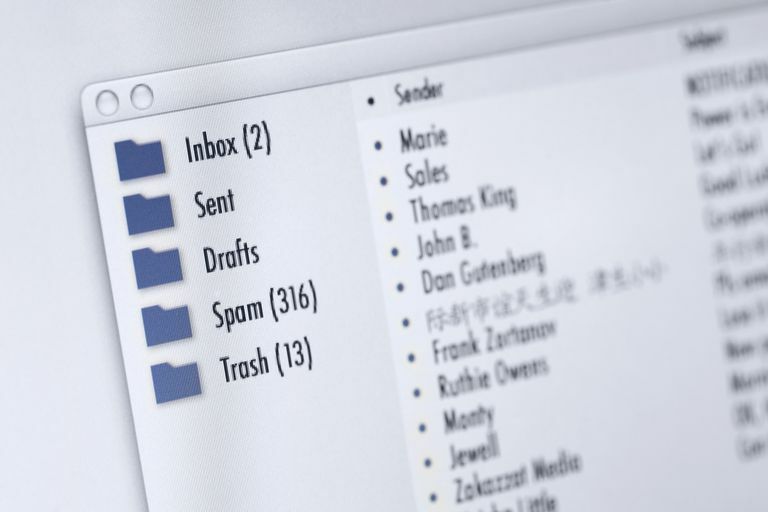 If you have a vast amount of storage space and aren't on a tight schedule, you don't need to worry about how many emails you receive or how big they are. However, if you send emails that market a product or service to people you don't know, size matters. Billions of emails are sent each day, so your marketing efforts have a lot of competition. Large emails take longer to load and require more bandwidth. Half of email recipients delete unsolicited email within seconds of opening it. So, if you include several large attachments that are slow to load, your email may be deleted before the graphics render. Some email clients won't display an entire lengthy email. For example, Gmail clips emails that are bigger than 102KB. It supplies readers a link if they want to view the complete email, but there's no guarantee the reader will click it. The email recipient's experience may be affected negatively when you attach several large images. If you use a custom font, text in the email renders slowly. Either of these actions can present the reader with a blank screen for a couple of seconds — long enough to click away. Gmail accounts receive 15GB of storage space, but that space is shared by Gmail, Google Drive, and other Google services you use. Yahoo Mail accounts come with a terabyte of storage. Yahoo claims this can handle 6,000 years of inbox usage for the average user. Free Outlook.com accounts come with 15GB of email storage. AOL offers 25GB of storage for new messages, 100GB of storage for old messages, and 100GB for sent messages. Most email providers have generous storage policies as well as methods to see how much space your storage allotment has remaining.